The county's name has a disputed origin, but it is probably related to the Klamath Indian people. Positioned as it is on the Link River, Klamath Falls was first known as Linkville. That name is retained in the pioneer cemetery, now called the Linkville Cemetery. The name was changed to Klamath Falls about 1892. Weekly Sunday Communion was established and a revival was scheduled with J. B. Holmes. At the end of the meeting, the church was formally organized with 75 members. The charter members included: Jennie Margaret Applegate, Ella A. Applegate, Mrs. Edith Ball, Mrs. Elizabeth Bice, Mrs. Emma Bainter, Alonzo Bainter, Arlington Barkhurst, Mrs. Lena Barkhurst, Mrs. Angie Butcher, John T. Butcher, Mr. & Mrs. E.E. Byers, Marlin Byers, John Byers, Mrs. Lula Cravens, Walter Donart, Chas. Donart, Mrs. Nancy Donart, Nett Drew, Mr. & Mrs. R.H. Dunbar, Fred Dunbar, Marguerite Dunbar, E.L. Elliott, Mrs. Clara Elliott, Mrs. May Franklin, Paul Franklin, Mrs. Maude Finnell, Miss Kathryn Gibson, Mr. and Mrs. C.P. Gregory, Miss Harriett Gregory, Mrs. G.W. Gregory, Elmeta Hawxhurst, Ethel Hawxhurst, Mrs. Amanda Hamaker, Miss Leota Holcomb, Mrs. Chas. Humphrey, Mrs. Mabel Howard, Willie Jardine, Mrs. Kathryn Lee, Mr. B.E. Lee, Mrs. Della Lee, Miss Nettle McIntyre, W.E. McCornell, Mrs. W.E. Cornell, Mrs. Lucy B. McCoIlum, Mr. John T. McCollum, Miss Ruby Newton, Mrs. Alice Noland, Waid Oden, Elsie Nitcheim, Oliver Rucker, Mrs. Belle Rutenic, R.J. Sloan, Mrs. R.J. Sloan, Mrs. P. Southworth, Mrs. Mary Stearns, Miss Artie Seehorn, Mrs. Jennie Seehorn, Mrs. Joe Smith, Mrs. R.S. Smith, Miss Florence Short, Mrs. ? Short, Mrs. L.H. Turpen, Mrs. Mabel Turner, Mrs. Rosa Thomas, Mrs. Detta Tracy, Mrs. ? Tracy, Mrs. S.F. VanRiper, Mr. & Mrs. Geo. Wirtz, Estell Wirtz, Gertrude Wirtz, Miss Pearl Wirtz, and Mrs. True Weisr. The first minister was called - W. N. Vallandingham. Tragically, his wife passed away before he was able to preach his first sermon at Klamath Falls. 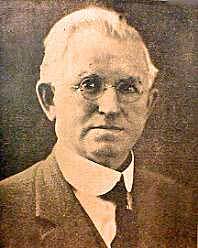 John W. Jenkins, a graduate of Bethany College, is listed among the early ministers. 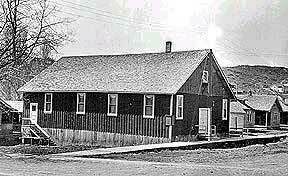 The first building was built - a 40 foot square building, located between 8th and 9th on Klamath Avenue. In 1910 it was moved to the corner of 9th and Pine Streets where it remained for 60 years. Tom Gross recalls that one of the early members was Cecil Brown, wife of Fred Brown. The family homesteaded on the west side of Klamath Lake, south of Fort Klamath and north of Rocky Point. She was the school teacher at Crystal. In the early years they would come to church via boat across the lake (15+ miles). The best-known missionary sent out from this Klamath Falls congregation has been Dorothy Uhlig. She has spent her years in Christian and medical work in Thailand. Our thanks to Arlene Lundgren and Marilyn Breithaupt for research and background on the Klamath Falls Church. We have also included recent material from Restoration Churches in Klamath Falls, Oregon by Todd Kepple. 1999.